A Year of Being Here: Betsy Miller: "Norimaki Sushi"
Full like a waiting moon. Fold in rice vinegar, salty-sweet. Fan the scented clouds of steam. Edged with a sharp sinus sting. "Norimaki Sushi" by Betsy Miller. No other bibliographic information available. 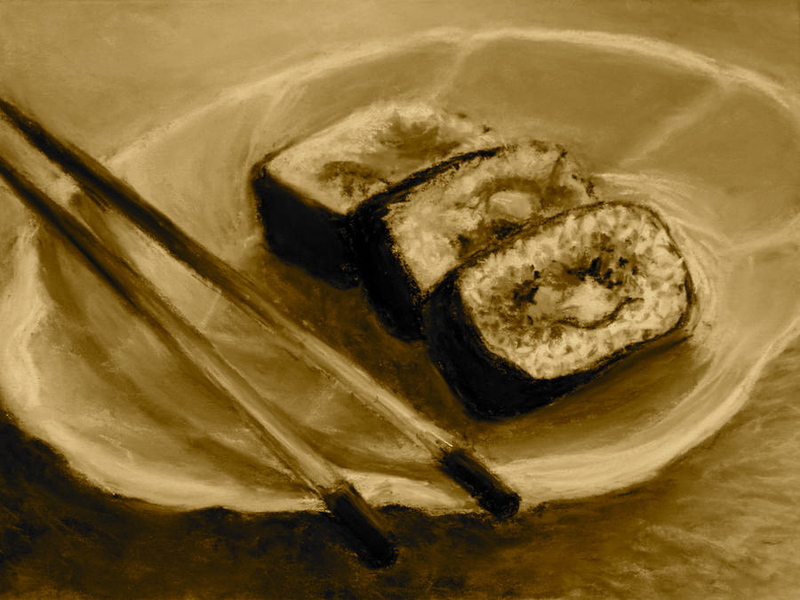 Image credit: "Happy Sushi," pastel on sanded paper, by Susan Jenkins, 2009 (originally color).